INNFIGHT to release second album „Black Dog“ on April 13th, 2018 via Pride & Joy Music! 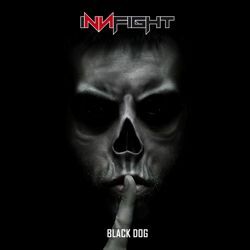 German Modern Rock/Metal band INNFIGHT will release their second album “Black Dog” via Pride & Joy Music on April 13th, 2018! The main information about the album can be found below. The PR via Haulix started last week and the band is also available for interviews. Please send us your requests! Michael Heck (keys) und Frank Widderson (vocals). About a year later and after writing songs together they began to record their debut CD „Boulevard Of Pain“ in Rolf Munkes’ Empire Studios in Bensheim (Hessia), Germany. INNFIGHT later on were joined by the new members Udo Boppré (drums), Eugen Leonhardt (lead guitar) and Thomas Klesius (bass). After they were complete, they began to play live to bring INNFIGHT and the album into the focus of their fans. 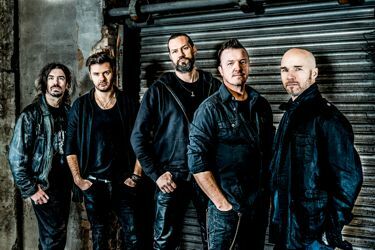 In October 2017, INNFIGHT started to record their second album „Black Dog“ which is now set for a release on Pride & Joy Music on April 13th, 2018. During the recordings, bass player Thomas Klesius died due to serious illness. Tommy Schmitt, bass player of RED CIRCUIT, stepped in to help in these hard times and completed the bass recordings. Frank Widderson are the major trademarks of the band’s Alternative Rock/Metal sound – always with their own kind of interpretation. The songs themselves deal with emotions, experiences, impressions and topics such as human interaction and the daily struggle with the world both around and within us. “Black Dog” was once again produced by Rolf Munkes at Empire Studios.